We knew Stevie Nicks’s long-lost “love child” Harry Styles would induct her into the Rock and Roll Hall of Fame, but – surprise! – there was also a family performance. 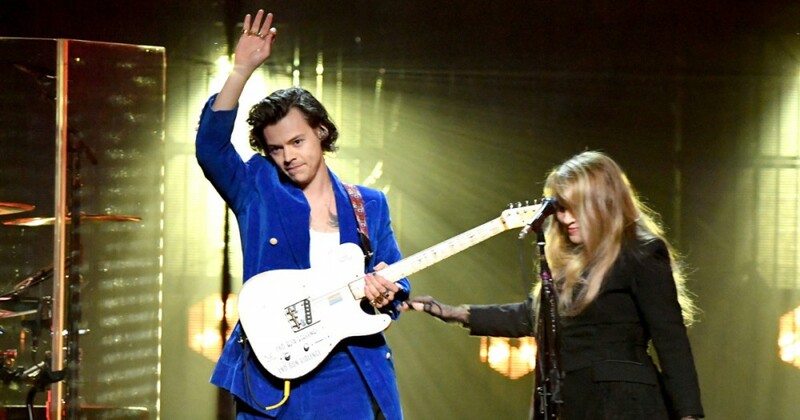 Styles, in a snazzy blue suit, joined Nicks for a performance of her Tom Petty duet “Stop Draggin’ My Heart Around,” with Harry also on guitar. As Nicks noted in her introduction of the surprise, she and Styles have become BFFs in recent years and somewhere along the way she more or less adopted him. Sorry, Mr. and Mrs. Styles, you share custody now. 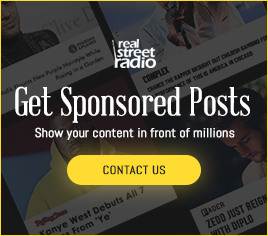 The love is that real. Anyway, he could’ve gone about it two ways: He could’ve made a really serious pop record, which would’ve been much less of a risk. Or he could’ve made a rock and roll record and take a risk. And he did. And I went to the Troubadour for one of the first nights he actually played songs from that record and I went, “You know, this beautiful child should’ve been born in 1948, too, because he just fits in with all of us. So that’s what he did. I think that he succeeded beautifully. That’s where he’s gonna stay. That means he will still be around in 30-40 years. He’ll still be doing it just like I have continued to. He’ll still be rockin’ it across the country when he’s 60, 70 … 50 … 40 [laughs].